My book club has met each month for over three years. Though it started in February of 2010, I only became a member after moving to the District of Columbia in 2011. Since then, we’ve read: A Good Man is Hard to Find by Flannery O’Connor After Rain by William Trevor Sons and Other Flammable Objects by Porochista Khakpour 20,000 Leagues Under the Sea by Jules Verne Something I’ve Been Meaning to Tell You by Alice Munro All Aunt Hagar’s Children by Edward P. Jones The Art of Choosing by Sheena Iyengar Waiting by Ha Jin A Visit From the Goon Squad by Jennifer Egan Dream City: Race, Power, and the Decline of Washington, D.C. by Harry S. Jaffe and Tom Sherwood The Sense of an Ending by Julian Barnes The Fault in Our Stars by John Green What We Talk About When We Talk About Anne Frank by Nathan Englander Blue Nights by Joan Didion Swamplandia! by Karen Russell Cloud Atlas by David Mitchell Before You Suffocate Your Own Fool Self by Danielle Evans This is How You Lose Her by Junot Diaz Sense and Sensibility by Jane Austen Behind the Beautiful Forevers by Katherine Boo Beautiful Ruins by Jess Walter Tenth of December by George Saunders The Boy Kings of Texas by Domingo Martinez The Orphan Master’s Son by Adam Johnson May We Be Forgiven by A.M. Homes The Manhattan Transfer by John dos Passos The Round House by Louise Erdrich The Lowland by Jhumpa Lahiri These books account for the vast majority of my reading, given my other projects and ways I choose to spend my free time. As a group, we tend to pick a lot of contemporary, literary fiction novels, though I’ve advocated successfully for short story collections, older classics, and non-fiction. Judging by the lukewarm response to 20,000 Leagues Under the Sea, I’m not sure everyone appreciates those deviations. I’ve thoroughly enjoyed gathering to share perspectives on what we read. Though the group is mostly female and, aside from me, all current or former teachers, opinions and insights are varied and the discussions are intellectually stimulating. Moreover, the book club has introduced me to fabulous authors like David Mitchell and George Saunders. Our meetings remain among the most anticipated items on my calendar. We went strolling around Eastern Market, idling past jewelry vendors and fruit merchants. Next to a tent hawking odd fur caps, we found a mess of unsorted books; some were on shelves, some on a table and some in boxes. The Book of the Hand caught my eye and I began leafing through it, wondering how its antiquated nomenclature would divine and define me based on the geometry of my hand. The past few days and months have been a whirlwind of activity. I prefer understatement, so I’ll just provide some links that you absolutely shouldn’t miss, and you click on them. Deal? – My friend Dan wrote a terrific article about canvassing in New Hampshire. – Dinky won a Fat Cat photo contest, giving me an excuse to meet some interesting people who know a lot about Springfield and Hartford politics. – I’ve been taking a lot of pictures. – I’ve gone sailing in Newport. – I’ve joined a stock club. – I tried my hand at knitting in Connecticut. – I’ve been reading a bunch of books. – I’ve become a regular at my local Manchester pub. – I’ve been writing in my Field Notes. – I’ve been meeting a lot of new people and realizing how much all of my older friends mean to me. Where would I be this weekend if I lived in Los Angeles? The LA Book Fair. Held at the Hyatt Regency Century Plaza Hotel in LA, it features over 200 booths full of all kinds of things, from first edition Ray Bradbury books for sale, to seminars on bookbinding and calligraphy. 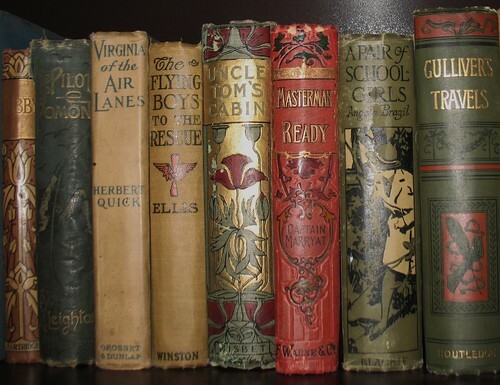 There are also talks teaching about collecting and appraising antique books. I’m something of a bibliophile, so it’s a shame I’ll have to miss seeing things like this giant Koran. Even if you’re not interested in collecting, learning about the processes of creating, preserving and appreciating books seems like plenty of reason to stop by and take a look. From the looks of things, there are going to be a few vendors specializing in maps as an added bonus! The Los Angeles Book Fair opens today at 2 PM and ends late Sunday, so don’t miss it if you’re in the area. Truly classic design elements transcend specific media. Casting an eye over old books can inspire imaginative solutions for web design. And why shouldn’t those books be French? The Frogs are renowned for their appreciation for the finer things: food, wine, art, deodorant… So without further ado, here are 11 terrific elements of design from old French books that can give your web designs something different. 4. Spines – When shopping for used books at the Salvation Army, it’s too time-consuming to really read the title of every book on the shelf. Fortunately, the design of the spine often says a lot about the genre of the book. There is, for instance, the Danielle steel and VC Andrews design, whose volumes comprise about 70% of all thrift store libraries. A tastefully ornamental or pleasingly simple spine can be found on most good volumes, which just goes to show you that you can’t judge a book by its cover, but you can judge a book by its spine. 5. Text and image blending – Interplay between text and image is a great way to reinforce the theme of a work and add visual interest to content. At the moment, CSS doesn’t allow for styling type quite like the image below, but some selective images can punch up a web page without adding too much file size. 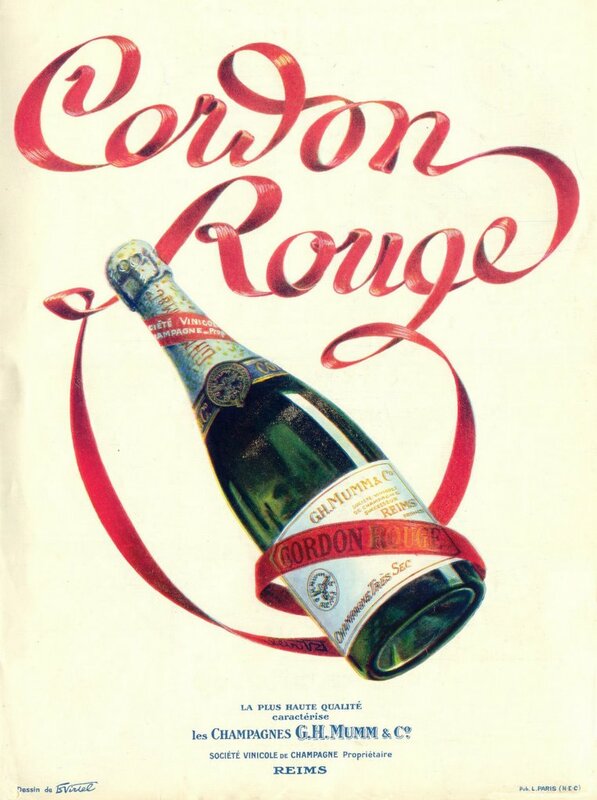 You can find another good example in this champagne ad. 6. Collages – If a picture is worth a thousand words, then a collage must be worth millions. Combining related graphics into a whole is easy, but a great collage is more than just the sum of its parts. Everything from spacial relationships to color palettes to the various depths of the elements must work together to tell a story or create an effect. Fortunately, the Web is awash with all sorts of images with which to build collages. 7. Rays and Reflections – Radiating bands of light have become a favorite Photoshop element of mine, since they really make graphics look slick. Likewise reflections. Unfortunately, both are subject to overuse in the current Web 2.0 design craze. Still, there’s a reason why both are so widely used; they’re cool and appealing. Try them. You’ll like them. 8. Repeating backgrounds – The insides of book covers are terrific for classic patterns. Historically, probably, printers used patterns to save themselves the trouble of designing large and detailed engraving plates. 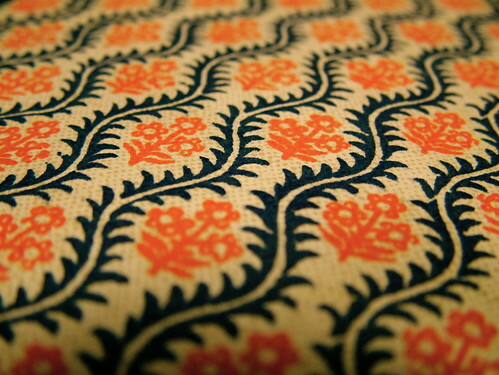 These days, web designers use patterns to save file size and bandwidth. A pattern can also serve as a watermark, a reiteration of an important symbol that tags a work as belonging to a particular designer. For instance, check out the lion background here on The CookBlog. If you right-click on it and select “View Background Image”, you’ll see that the site’s background is really only 120px wide by 400px high. Weighing in at only 11kb, it can nevertheless expand sideways forever. 9. Color palettes – Maintaining a consistent color palette is one of the best ways to keep a design looking professional. A hodgepodge of colors, however well they complement each other, makes it much more difficult to create a design that it sharp and coherent. Choosing a color palette before getting into a project is well worth the time. One of my favorite sites for this is Colourlovers. 10. Text Alignment, Kerning and Justification – Another good polishing method is to experiment with various text attributes. Again, less is more. A unifying theme almost always makes a design look better. The image below, for instance, shows text that is centered. The block below “(fibre de rayonne francaise)” is justified to the margins of the large “FLESA” text above it. In general, the letters of the text are given a little extra space (kerning). The overall effect is stylish and cohesive. 11. Three dimensional objects – Another Web 2.0 trend is three dimensionality. Whether or not that’s a real word, it’s a great effect. Just a bit shadow or perspective can suddenly give a design depth, turning a flat piece of paper or computer screen into something more. It’s the difference between comic strips and Caravaggio. Which do you want to be? Of course, there’s one final way to design, explained with perfect eloquence by the late, great Edward Gorey. Baseball is a game wrapped in denser layers of statistics than any other. Home runs, RBIs, batting average and others are quoted back and forth between scouts, managers and talking heads in the baseball community. Moneyball picks apart in great detail why those statistics are flawed, why those baseball people are wrong and why such idiocy continues. In brief, the book takes the example of Billy Beane, an uber-promising prospect out of high school who somehow failed in the Major Leagues despite his copious talents. Now the General Manager of the Oakland Athletics, Beane has used a whole knew system to evaluate players and direct on-field strategy. This system, which is widely scoffed at by the baseball establishment, has allowed the Oakland A’s to win more games over the past several years than any other team, despite having one of the smallest budgets. Moneyball gets deep into Beane’s system. Based almost purely on statistics, or sabermetrics, that system treats runs as the most valuable currency in baseball. It judges a player in terms of his ability to score more runs than he gives up. While seemingly obvious, this rankles many traditionalists, leaving out as it does RBIs and batting averages as metrics. It also leaves out more subjective judgments about body type, leadership, performance under pressure and other “intangibles.” It marginalizes crusty “baseball guys” with gut feelings and champions young Ivy League graduates with computers and no preconceived notion of what’s supposed to be important. It’s a fascinating book, and its overarching theme is that there inefficiencies in almost every aspect of life that can be exploited by people who are smart enough and courageous enough to reject conventional wisdom, to think and act differently. It’s also satisfying to see the players who are illuminated by the light of Beane’s system; most players are slow, overweight, great at drawing walks, considered too old to develop and almost all are unwanted by other teams. They’re easy to root for, since most have given up on their Major League dream when the A’s come calling. Everyone’s wish is to be appreciated, to have someone see something in you that no one else does. And that’s what Moneyball is all about. Why other teams haven’t adopted this system en masse is debatable. It’s led to Oakland’s success, and it was no coincidence that the Red Sox finally won the World Series after Theo Epstein, a young Ivy League graduate with a computer, became GM. The most likely explanation is that it removes opinion and personality from the equation. It also means that ex-players no longer have any way to stay in the game after they retire. The system is not about the romance of the game. It is simply about winning. While Moneyball is a great book for baseball fans in particular, the ideas in the book can be understood, appreciated and applied by anyone. Edward Gorey came to my attention through the Stumble button, which is a little web browser extension that works something like a TV remote for the internet. You choose your favorite topics, click the button, and are whisked to random web sites that the system believes you will like. Fortunately, it’s right almost all the time, and I’ve taken a great liking to the art of Edward Gorey. Best-known for his Gashlycrumb Tinies, a series of drawings depicting the imminent death of Edwardian-era children, Gorey manages to infuse humor, if not lightheartedness, into the dark themes of his art. It’s strangely compelling, recalling high collars and shadowy parlors. I think it would be an excellent theme for a Halloween party, and I’ll be sure to remember that come October.